Around 70% of men are affected by pattern baldness. Besides going for hair transplant, laser therapy or oral medication, try this hair therapy, which will unfold its many benefits and effects in earlier stages of hair loss. 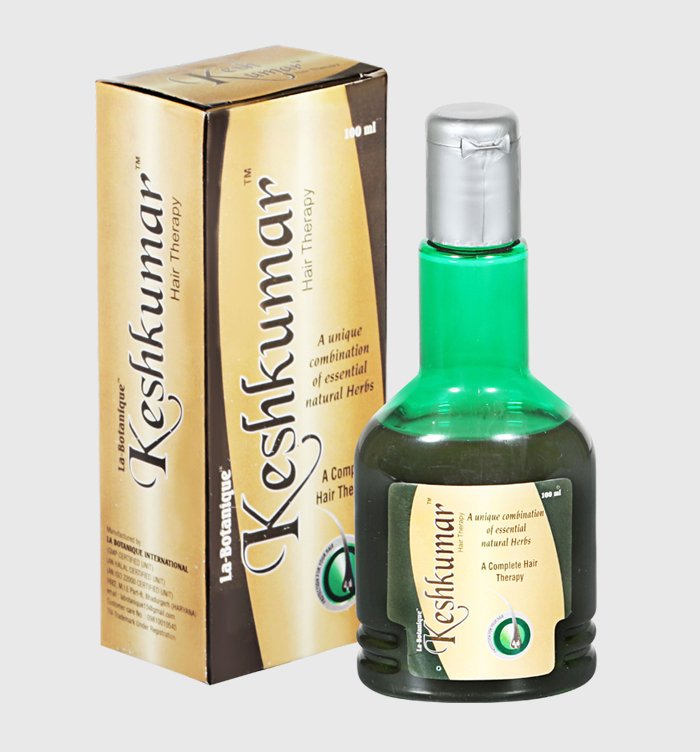 Buy online Keshkumar Hair Therapy- a unique combination of essential natural herbs works strand by strand and from root to tip. For the formulation of this hair therapy, the makers have used one or all parts of different plants, for instance, pulp of aloe barbadensis, root of hedychium spicatum, fruit of emblica officinalis, bark of azadirachta indica, and leaf of lawsonia nermis. In order to get best results, it is recommended to properly apply Keshkumar Hair Therapy at-least two times a week. Over the time of frequent applications, your severely damaged hair will respond and you'll notice your hair becoming stronger, softer, smoother and manageable. Latin Name Part Used Qty.